Qualitetch will be showcasing the latest in chemical etching at the Southern Manufacturing & Electronics show in Farnborough this year from 21st ”“ 23rd March. Southern Manufacturing & Electronics is one of the biggest exhibitions in the industrial sector, with over 1,200 exhibitors and 15,000 visitors attending five shows over the year. This year, you can visit Qualitetch on stand K7, where we will be showcasing the latest in the industry. 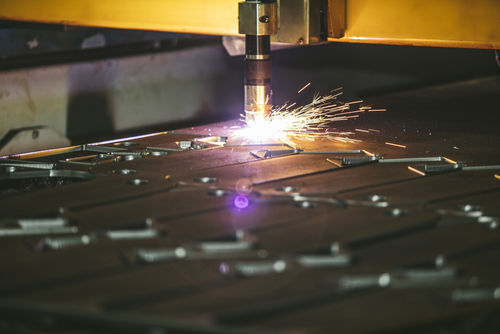 With a wide range of companies present at Southern Manufacturing & Electronics each year, the one aspect that almost every business will have in common is their use of etched components. Whether for an electronic screwdriver, or helping to produce the latest in aerospace technology, the chemical etching process plays a pivotal role in manufacturing due to its flexibility and accuracy. In comparison to laser cutting, etching is a far more efficient process in terms of financial costs and lead time. This means that in order to meet tight deadlines, more often than not, it is the best solution – with a turnaround on large orders as little as 48 hours – as opposed to waiting the best part of a week to see results. Etching presents a world of opportunity to a wide range of sectors, with many businesses reliant on the process as a means of meeting customer demands. Businesses that focus on bespoke projects, with a higher demand for specialised products over standard components, utilise photo-chemical etching to produce large volumes. For such projects, precision is fundamental, and this is where you might expect such a swift process to have a flaw. However, the etching process is accurate to within 0.010mm; producing an end product that is both stress and burr-free, unlike the laser cutting process. Qualitetch can use a wide range of sheet metals, including; aluminium, steel, copper, brass, nickel, beryllium copper, nickel silver and more in the chemical etching process. Using ferric chloride as a chemical etchant, it is possible to use both soft and hard metals to produce high-quality components. This process is just one of the services that we will be showcasing at the Southern Manufacturing & Electronics exhibition in Farnborough. Please feel free to ask any of our team any questions that you may have in regards to the etching process, or any of our services. If you cannot visit us at the show, please call our dedicated team on 01354 658787, and we will be more than happy to assist with any queries you may have.